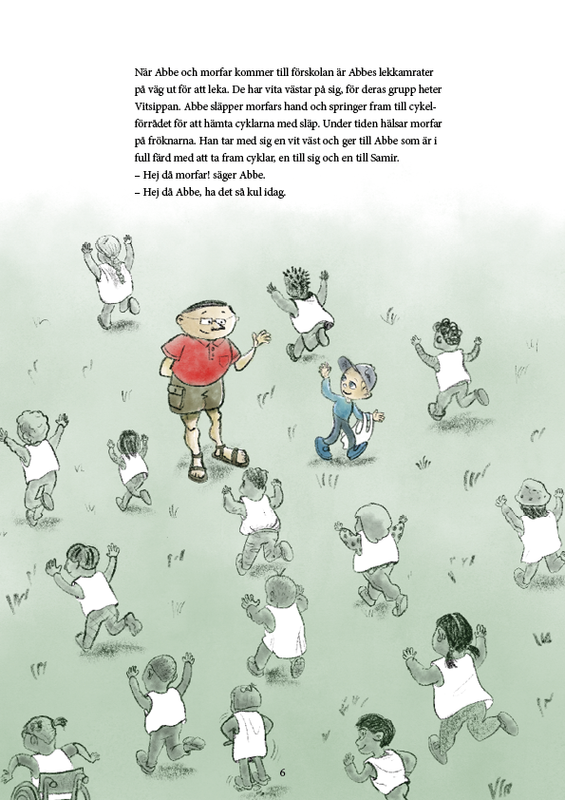 Swedish illustrator, designer and comic book artist who occasionally ventures into the uncharted areas of fine art. After several years as a wallpaper designer at Duro Tapet, I now share my working hours between freelance commissions under the Studio Lord banner and projects at various companies, most recently as an illustrator for an interactive education software by Liber Infinitas Learning. 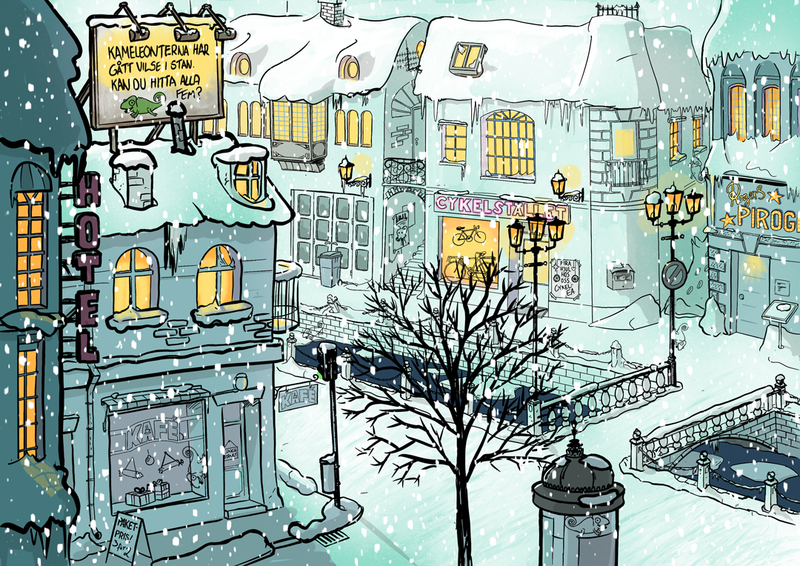 Off hours I also create a graphic novel, based on a true story of a Cold War era spy central hidden in plain sight in a sleepy Swedish town. 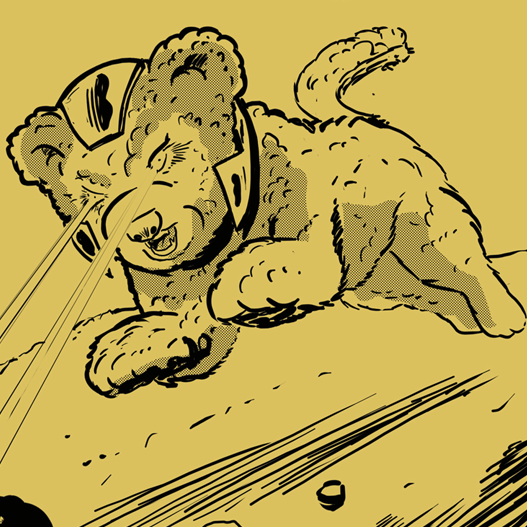 Follow the work on the Tumblr production blog. Registered for corporation tax. 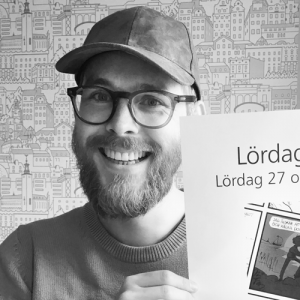 Member of The association of Swedish illustrators and graphic designers. Commission: Brain teaser published in Gefle Dagblad newspaper december 12, 2018. 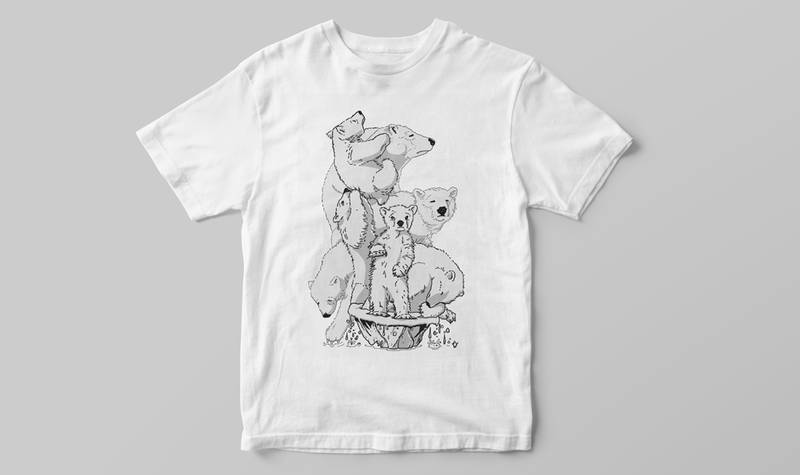 Commission: Twenty-four illustrations with a humorous touch for a picture book aimed at children aged four and older. 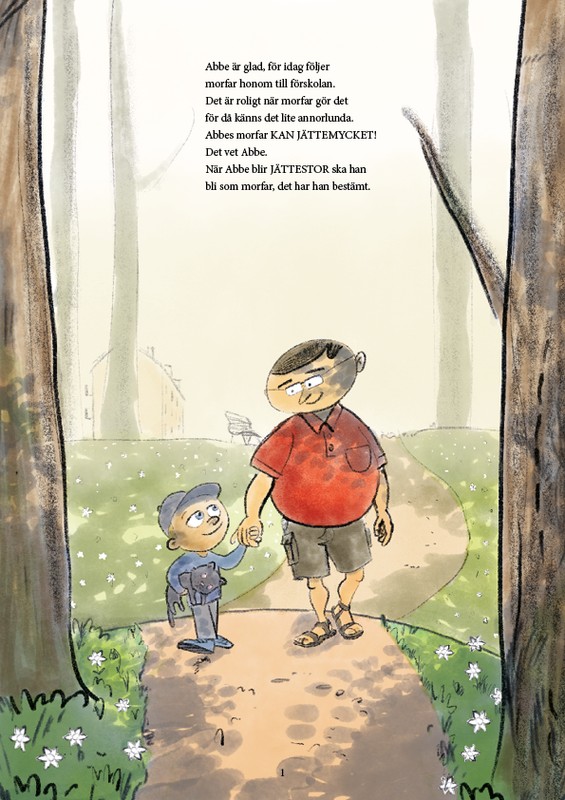 The book tells the story of all the fun you can have with your grandfather. If you have one. Made with a mix of traditional and digital technics. 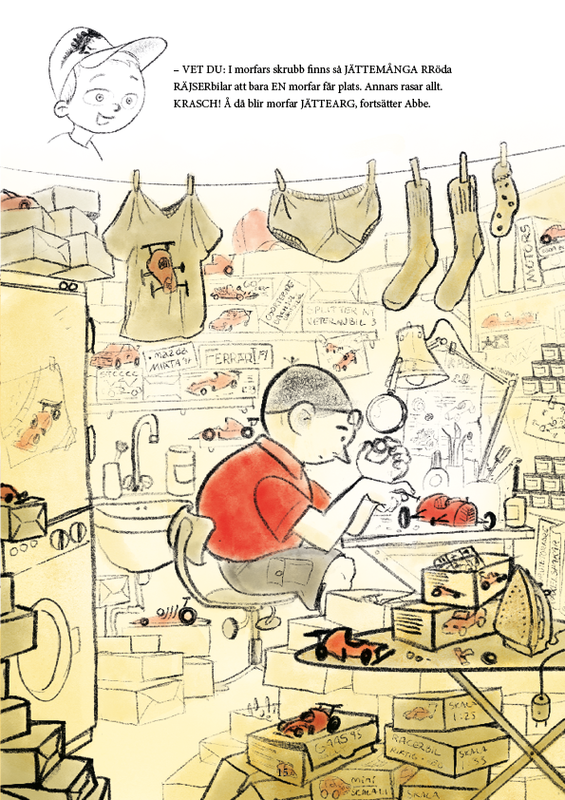 Red and black pencils, watercolours and digital colouring. The books are hand binded by Carl Krantz. 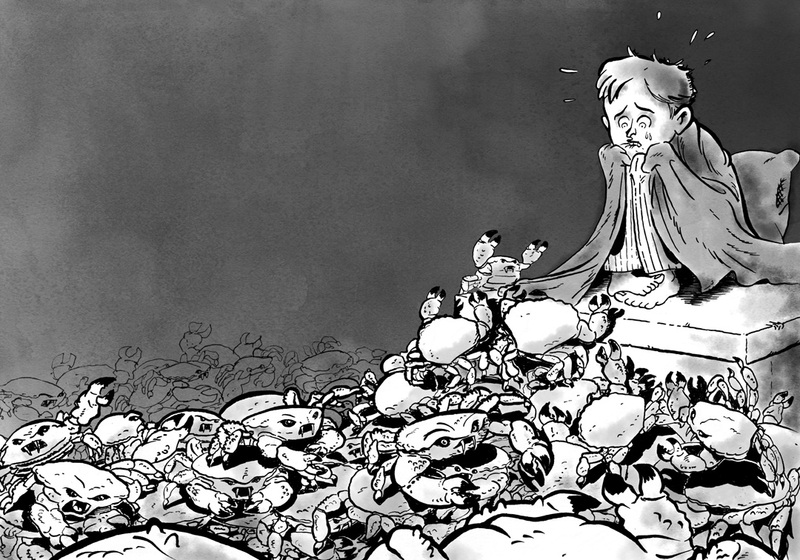 Commission: "Draw all your worst nightmares – in one illustration". 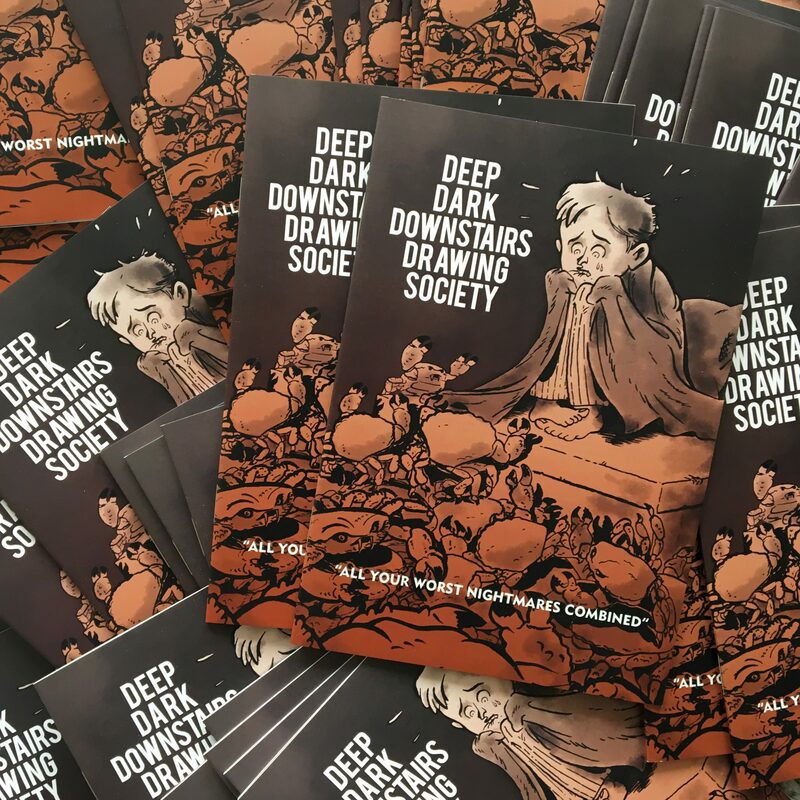 That was the challenge when making the illustration for horror/comedy anthology magazine Deep Dark Downstairs Drawing Society. 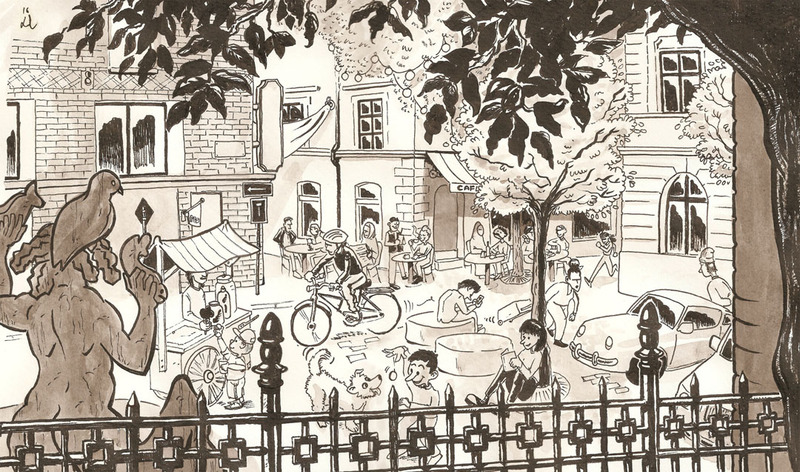 Ink wash. Private commission: Draw a poster of a man and his two dogs - as superheroes. The person's love for pizza, comics and Rubiks Cube, must be included. 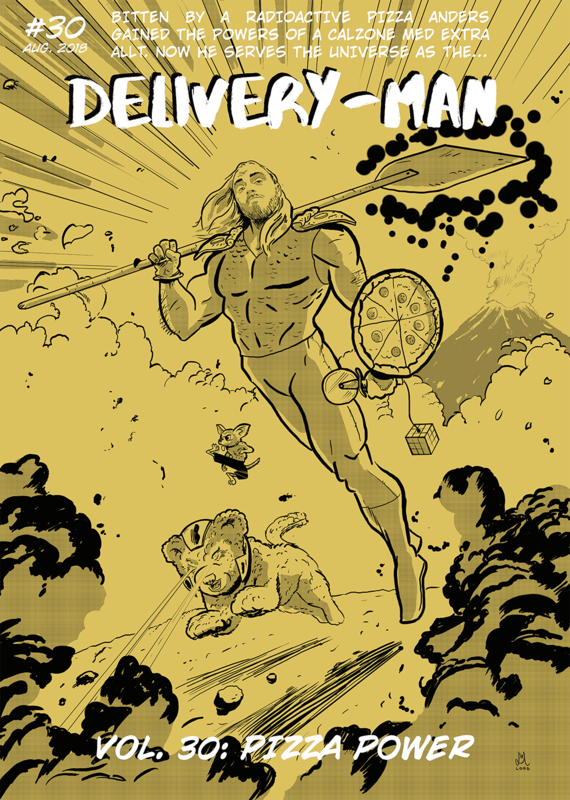 The poster was designed in a retro comic book cover manner and featured the concept of The Delivery-Man, a superhero who gained his powers from a radioactive calzone. 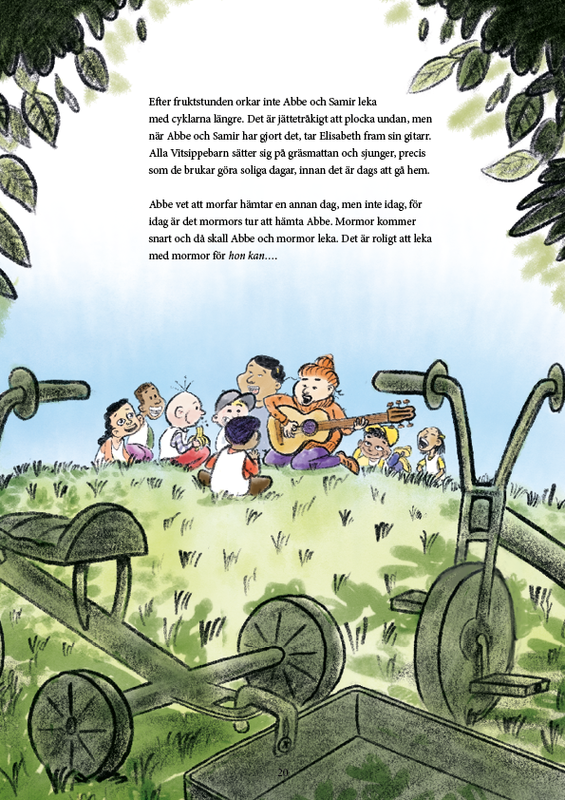 Commission: Illustrations for a digital education software for basic knowledge in Swedish, and information on Swedish traditions and society. The illustrations are used to explain words and expressions, such as the difference between teach and learn, or as visual aid to learning the name of objects like kitchen utensils or furniture. 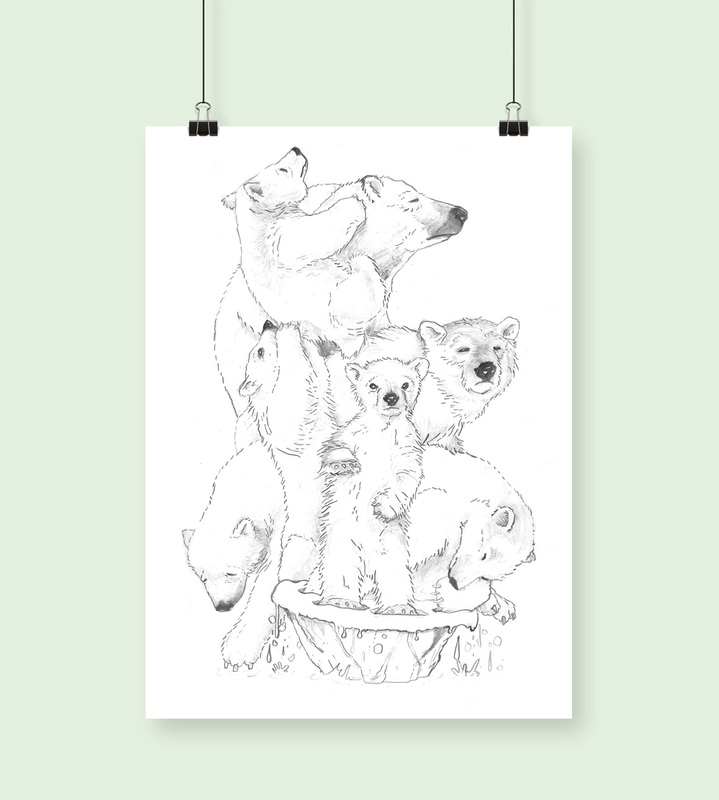 The style of the illustrations needed to be representative, convey a positive feeling and preferably not take more than twenty minutes to draw. In total, the number of illustrations amounted to 1500! 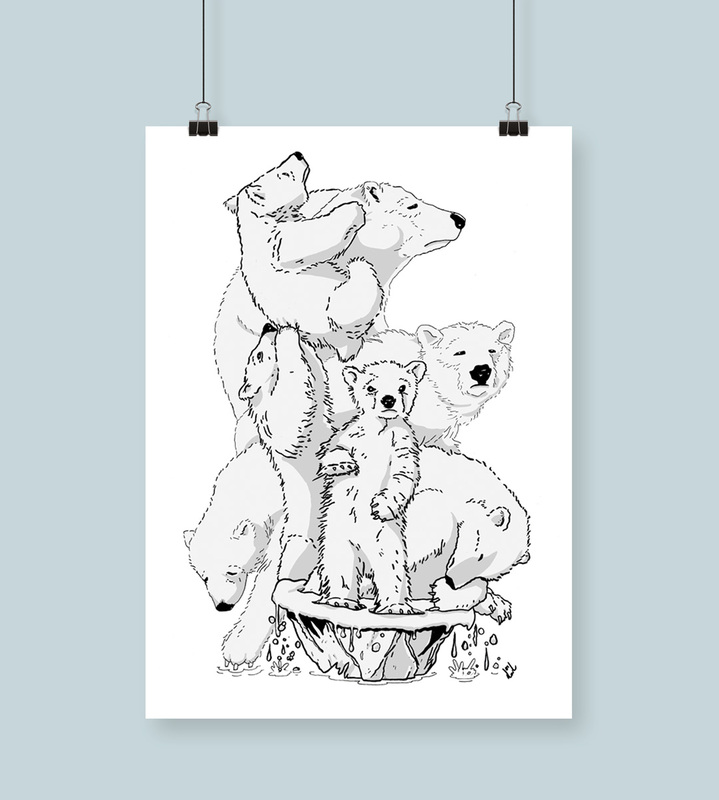 Commission: Illustration to charity for raising awareness on climate change and risks. 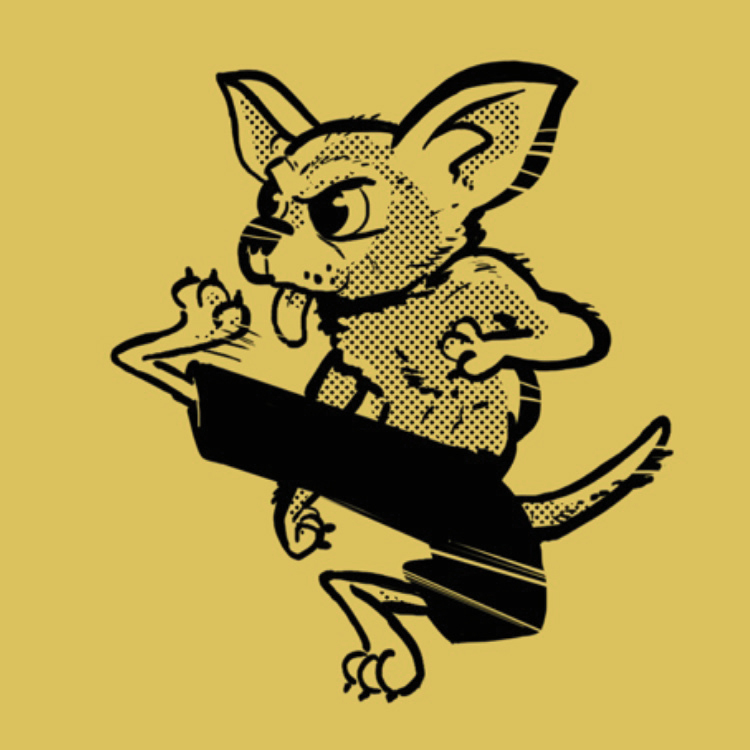 Done in several versions; in pencils, ink, and even as a t-shirt print. Also known as Godzilla was here. Pencils and watercolour on paper, 35 x 50 cm. 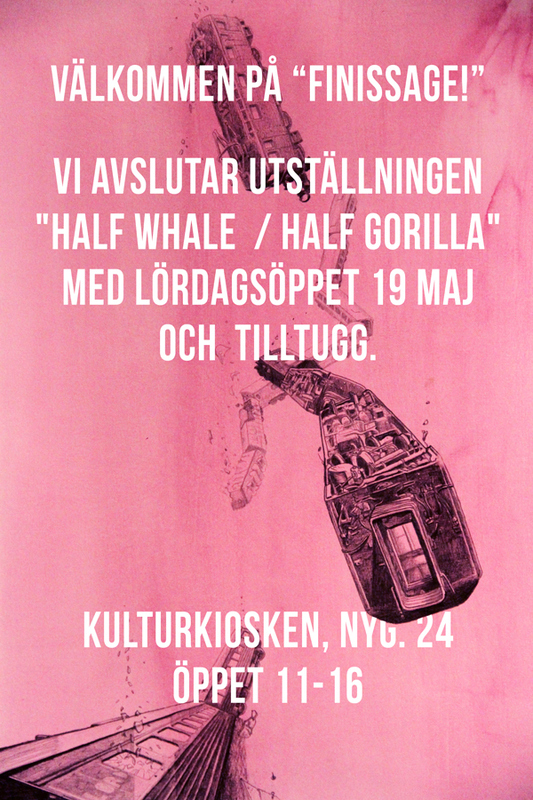 First shown at the exhibition Half Whale, Half Gorilla 2012 and later Teckning 2018. 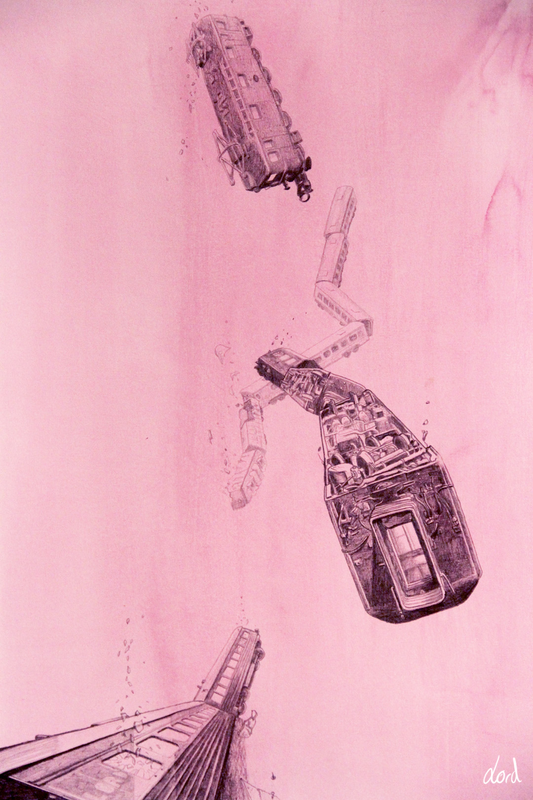 The image was also used on flyers to promote the closing day of the exhibition where it originally debuted. 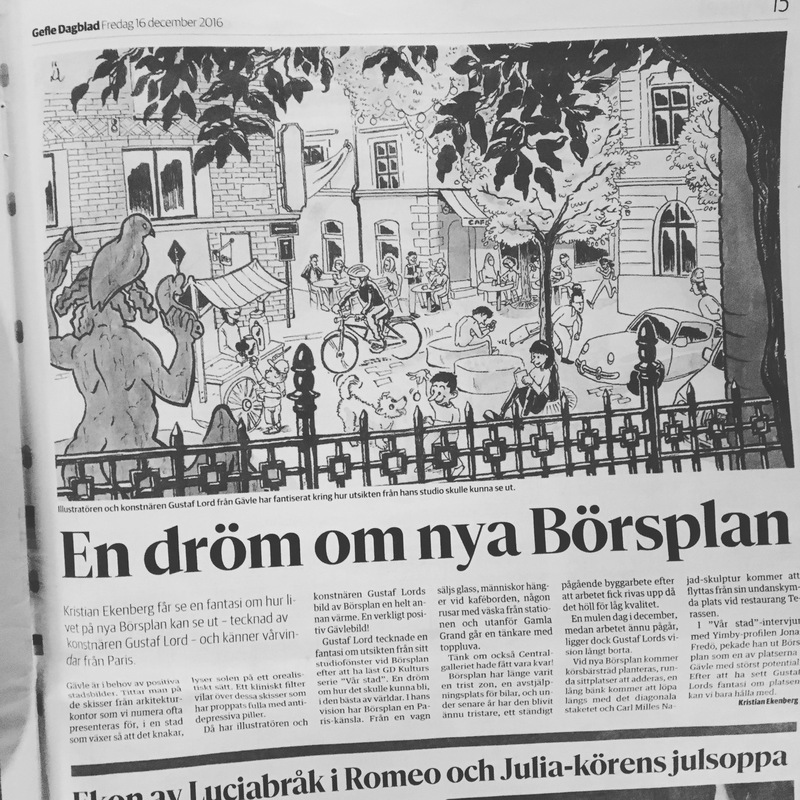 Ink wash editorial illustration to the article En dröm om nya Börsplan (A Dream of new Exchange Plaza) written by Kristian Ekenberg for Gefle Dagblad newspaper 16th december 2016. 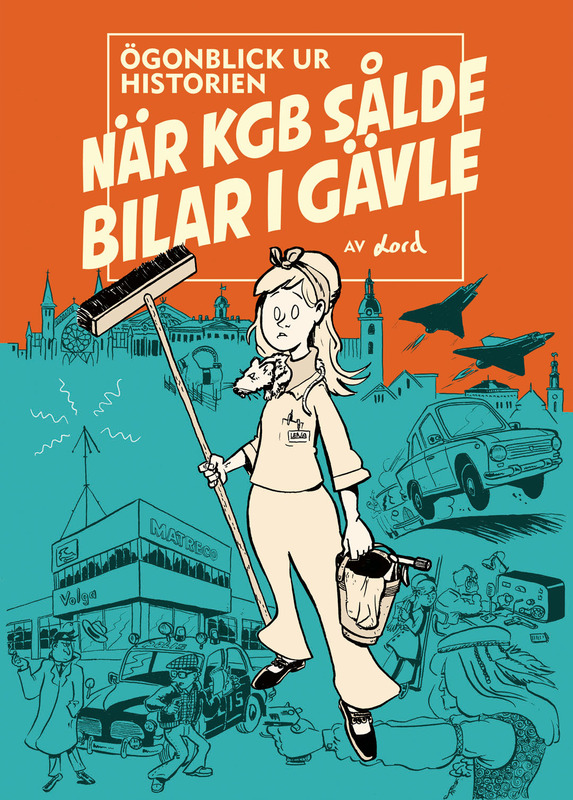 Poster for upcoming comic about a car showroom in Gävle turning out to be a KGB operation. True story! 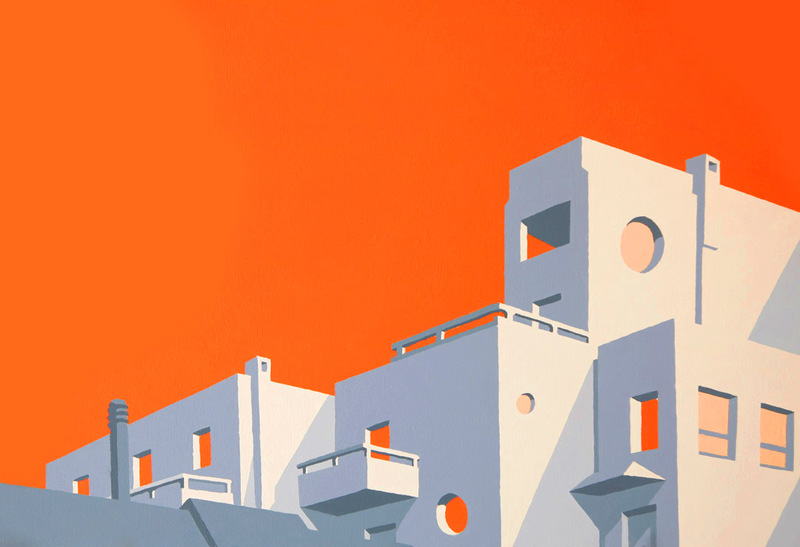 The upper two paintings are picturing hotels in the mediterranean turned to refugee sanctuaries. They were first shown at the exhibition Bländverk in Hudiksvall, 2016. 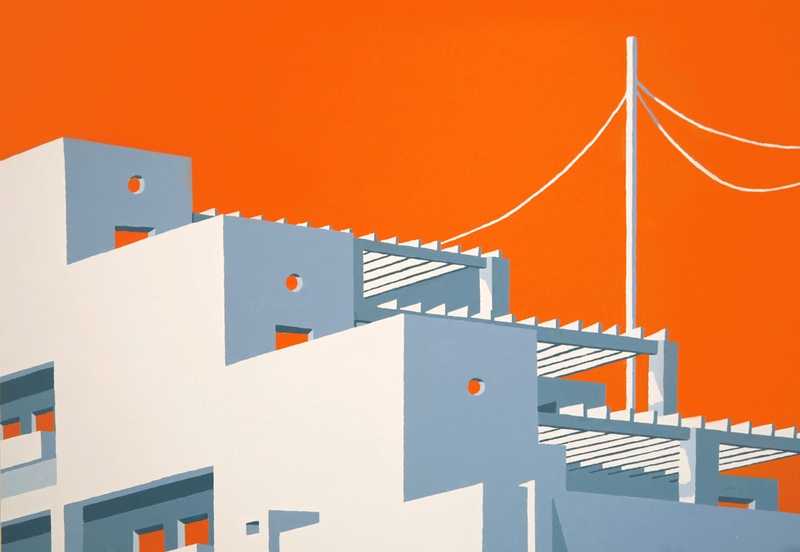 Acrylics on board, 70 x 50 cm. Both are sold. The bottom two paintings are still for sale and shown here at the 2017 Gaffel Studios Fall Exhibition. 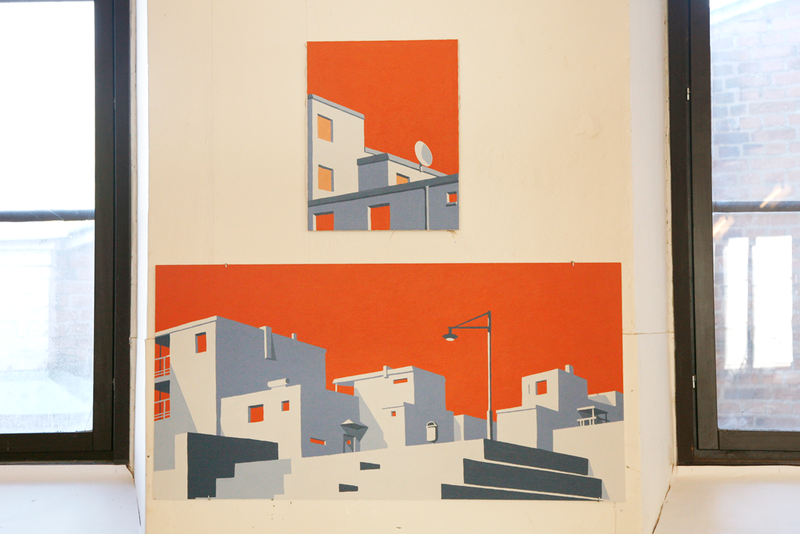 120 x 60 cm and 40 x 50 cm, respectively. 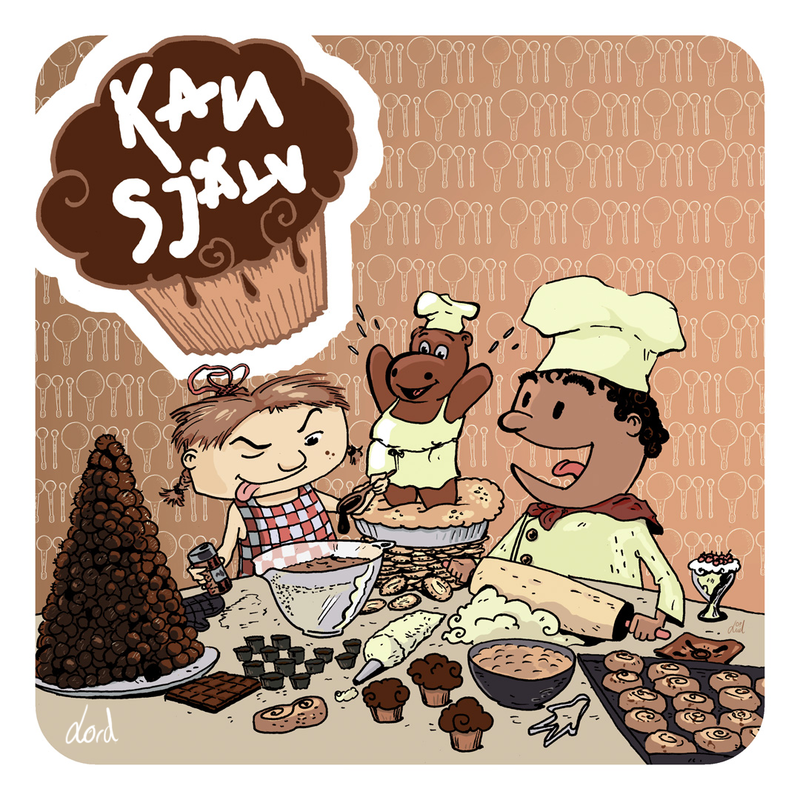 Commission: Cover, mascot and instructional illustrations for children baking book. 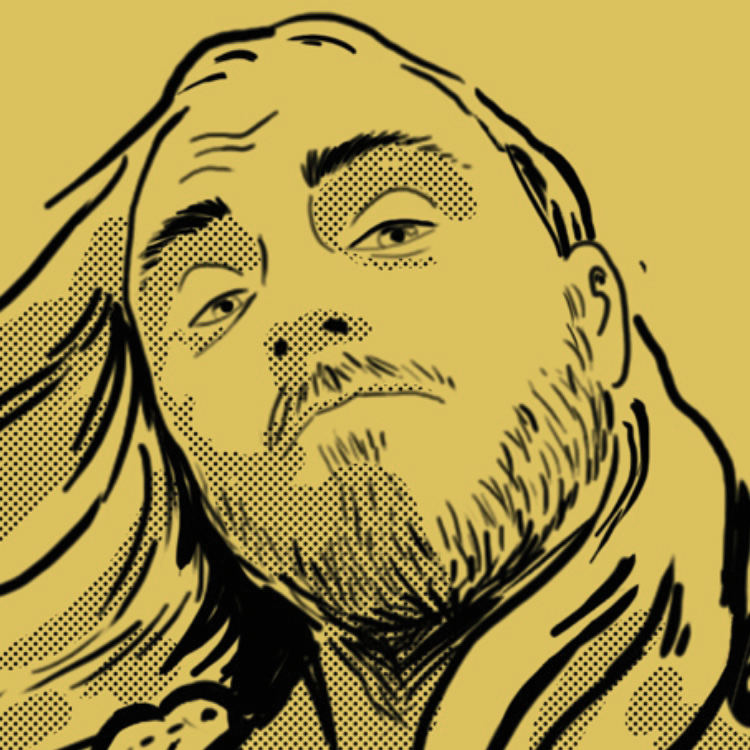 Illustrator, designer and comic book creator. Born in Gothenburg, Sweden, 1983. Lives and works in Gävle, Sweden since 2008. Board member of the non-profit art studio association Gaffel (Gävle Ateljéförening) from 2011 to 2017 and acted as chairman from 2013 to 2017. Part of the election comittee from 2017-2019.